Donald "Ducatti" Murray " Is an award-winning Director of Photography and President of Fades 2 Black Media Group Inc., a full-scale video production house. Born and raised in Brooklyn, NY, Ducatti began his career in the music industry writing and producing his own music as well as music for other recording artists. In 1996, Ducatti launched Young And Ruthless Entertainment, a music production and artist management company. In 1997, he landed a record deal with top indie label, Nervous Records, which was home to major recording artists such as Black Moon, Smiff & Wesson, Broadway, Lady Saw, and DJ Funk Master Flex. After the label disbanded, he decided not to seek another record deal, and in late 1997, Ducatti released his first independent single titled The World Is Mine under his musical pseudonym, Nodge. Radio personality Wendy Williams was the first to introduce the song on a mixtape she released that year. Hot 97 DJ, CoCo Chanel, featured the record on Hot 97 Ladies Night. Shortly DJ Funk Master Flex, DJ Red Alert and other prominent DJ’s started to spin the record. The World Is Mine became a hit and aold over 40,000 units. In 1999, Ducatti wanted to learn another side of the music industry and accepted a position with Every Where Promotion and Marketing. He promoted and booked major artists like Jay-Z, Sean “Puffy” Combs, The Notorious B.I.G.,, Mase, Will Smith, Nas, DJ Red Alert, R- Kelly, Snoop Dogg, Trina, Trick Daddy, Jam Master J of Run DMC fame, and The Wall Flowers. After a tour in Miami, Ducatti was offered a job as a club promoter at Club Zen, a popular South Beach Florida night club. As his reputation spread around town, he was hired by more Miami clubs and artists before moving back to New York. In 2002 Ducatti collaborated with childhood friend and producer, Meddy Foxx to launch Lab Worx Music, a recording studio and record label. The duo signed local artists and producers, but decided to put the venture on hold to secure additional funding. From 2002 - 2012 Corporate America was Ducatti’s life, but he took those four years to generate the finances he needed for his future endeavors. In late 2012, Ducatti and Meddy Foxx ventured back into the music world and launched Grynd House Music, a record label and recording studio located in Brooklyn NY. With Meddy behind the boards, Ducatti was right at home behind the microphone writing and recording. After writing and recording enough material for three albums, they decided to expand their services to the production of music videos. A few weeks later, Ducatti launched Fades 2 Black Media Group. What started out as a camera and a plan to shoot a few small videos for himself, turned into a small empire. To date, Ducatti has worked with major recordings artists including Wale, Maino, French Montana, Kirk Kobangz, Das EFX, K-Foxx, Styles P, Eric Sermon, Gun Play, Wyclef, Smack DVD, Nore, Slaughter House and Jim Jones.. He also collaborated with other production companies like Boom Town, Scenario, Taya Simmons and Mills Miller Media and worked on projects for major brands like TI's clothing line Akoo, Parish Nation Clothing, Hennessy, and Monster Energy drink. In October of 2012, while NY was locking down to do battle with one of the worst storms in our reported history, Hurricane Sandy. Ducatti along with Embassy Elite and KaicoonMedia co-directed, shot and produced a film for HBO by creator Don Stone entitled County Of Kings. In April 2013, Ducatti shot a reality show called Bricks for creator Michael Rice, which was picked up by VH1. Ducatti also shot for Black Ink Crew, another VH1 reality show. Ducatti partnered with award winning writer and producers, Princeton Holt and Cassandra Riddick of One Way Or Another Productions to help produce a feature film called Butterfly Chasers and in 2015 shot and produced the sci-fi movie, Alienated which won fifteen festival awards including Best Cinematography for his director of photography expertise. In 2015, he worked in conjunction with Six2Six Films on Six 2 Six the Movie as Editor and Colorist and in 2016 on Can’t Live Without My Radio, a feature film written, directed, shot and edited by Ducatti. 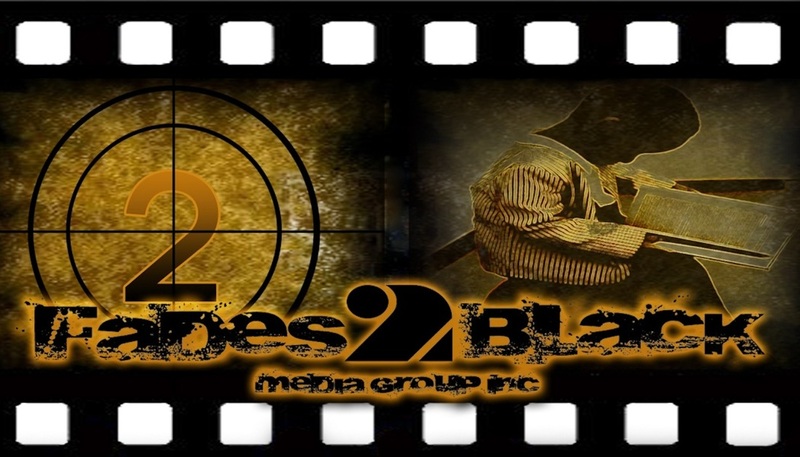 Ducatti is currently working on a number of in-house projects for Fades 2 Black Media Group ranging from feature films to television series to commercials and corporate media. Ducatti is growing in an industry where you’re only as good as you last body of work. He is a proven visionary and leader in the television, film and movie industry that is constantly striving to make his next project better than his last.